Consider it for the long battery life and brisk performance. The Mate 9 isn't on sale here in the US yet, but we expect to learn pricing in the next month or so. If the price is on par with what it costs in Europe, the phone will be on par with or slightly cheaper than its rivals, which would make it a good value, so-so camera notwithstanding. Huawei has set itself apart from its competitors by making an actually smart phone that can adjust its performance based on your habits. The Mate 9’s machine-learning algorithm prioritizes resources to apps that it anticipates you’ll use, making your overall experience smoother. But this handset’s most appealing features are actually its stellar battery life and spacious 5.9-inch display. Unfortunately, though, despite the company’s continued collaboration with Leica, the Mate 9’s camera still struggles in low light. That said, if it ends up costing the same as it does in Europe, the Mate 9 will be cheaper than its rivals, making it a good value for its performance. 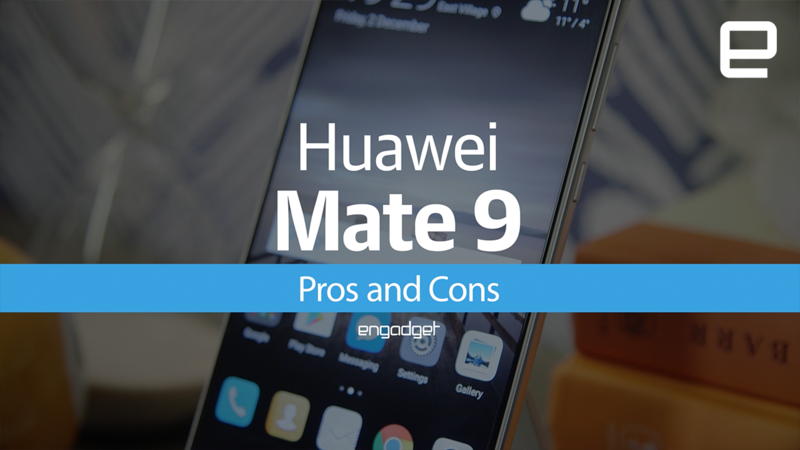 How would you rate the Mate 9?